In case you missed it, come check out our April 2009 Camel Express (PDF, 1.3 MB), posted directly below, for the heartwarming story about how a Peace Corps volunteer from the early 1970’s reunited with his old Nigerien friend over thirty years later, and they continued to enrich each other’s lives. John Baird first met Idy Gondah while living in his village as a volunteer in the early 70’s. John never thought that decades later he would help Idy’s son Mourtalla make the dream of coming to America to further his education become real, but against long odds Idy is already one year through his education. Peace Corps invites current and returned Volunteers to share a story and/or photos from your Peace Corps experience. Stories will be collected from Volunteers serving in each generation of the Peace Corps, from the 1960s, 70s, 80s, 90s, and on through to the present. By sharing a story and photos that reflect your unique experience in the place and time you served, you will help enrich Americans’ understanding of what it means to have been a Peace Corps Volunteer. Many of the stories and photos submitted to the digital library will be used to honor and celebrate our legacy of service during Peace Corps’ 50th anniversary celebration in 2011. Digital library materials will be accessible to the public through the Peace Corps website, and will be shared with the National Archives and Records Administration (NARA). We are currently accepting electronic submission of stories and photos from current and returned Volunteers only. If you are a Volunteer or RPCV, please read the complete photo submission guidelines and story submission guidelines for details on what we are collecting and how to submit your materials. If you are not a Volunteer or RPCV but would like to submit material to the Digital Library, please contact us at digital@peacecorps.gov. Author and Northeastern Professor William Miles, discusses his memoir, My African Horse Problem on December 3, 2008. Miles returned to Niger in 2000 with his ten-year-old son Samuel, to resolve an inheritance dispute over a horse. His experience captivated National Public Radio, and “All Things Considered” covered both his pre-departure story and follow-up after his visit. 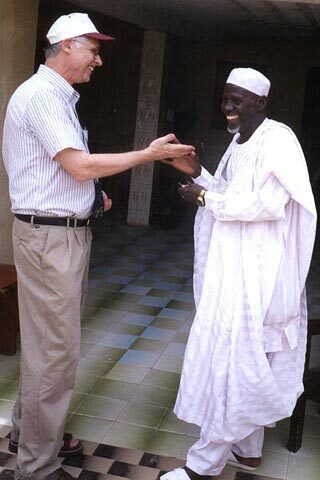 His account weaves together memoir, history and anthropology and journeys back to his days in Niger in the 1970s and 1980s as a Peace Corps volunteer and Fulbright scholar.